The Folding Seat Cane works as a walking stick and then into a seat when needed. It features a comfortable, curved foam handle. Manufactured from aluminium with a plastic seat. 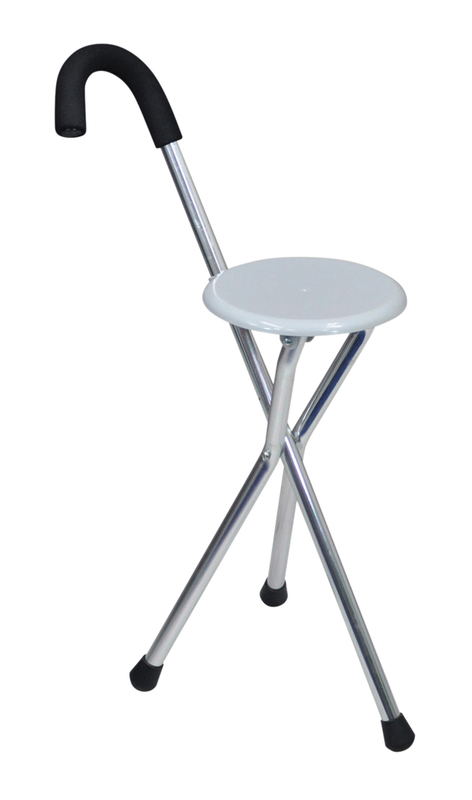 The feet are non-slip and the tripod-style seat is suitable for users up to 16 stone. The Folding Seat Cane works as a walking stick and then into a seat when needed. It features a comfortable, curved foam handle. Manufactured from aluminium with a plastic seat. 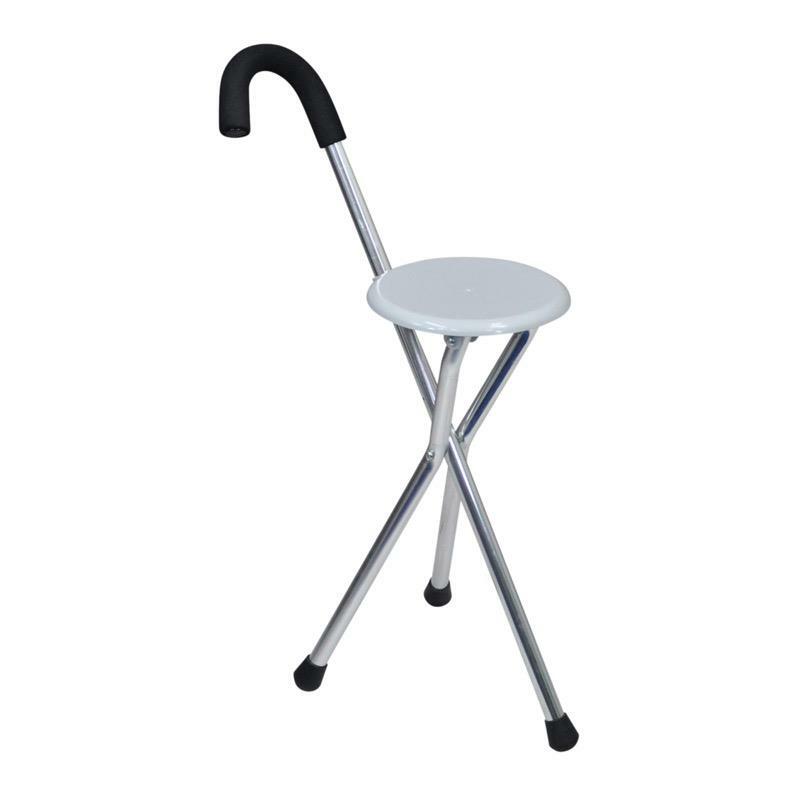 The feet are non-slip and the tripod-style seat is suitable for users up to 16 stone. Product weight is less than 1kg, so lightweight and handy for when you're on the move.